Everyone should know what this is based off.many people have made reduxes of this but no one had ever changed alot, infact for the most part all ive really done is borrow the shape, trying to cram in a bunch of things from older mocs, as well as a few new ones aswell. I'm not entirely sure how much I like it all. This build was started finished and photographed on the 23rd of December. Also an entry to CCC, childs life, depicting a child learning the trade of his father. 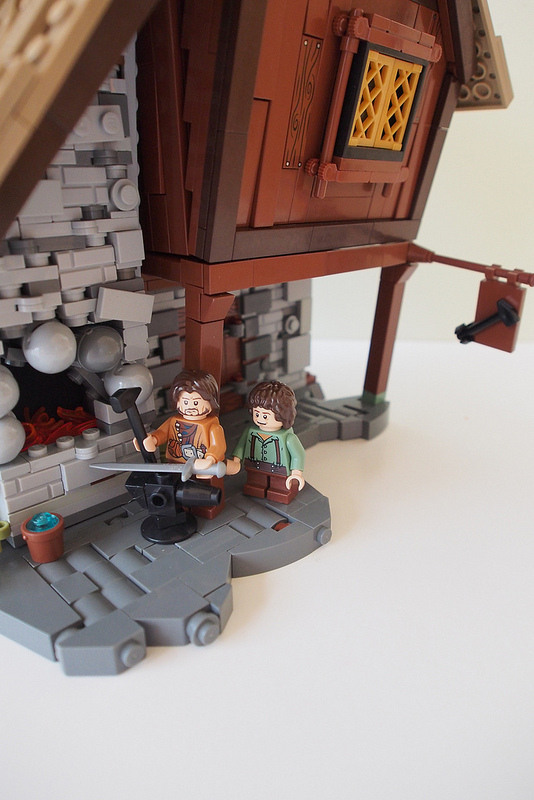 Another amazing MOC from you! The helmets as masonry is inspired, and I love the overall color scheme. You are truly the master of crooked houses! I like the sign on the right side! Excellent as always! Love the sign, and the helmets as masonry are indeed great! A small detail I love, the smoke on the chimney. Awesome work! So many great details. I really like the chimney, especially the top. If I'm not mistaken, it looks to be made up of a barrel and upside palm tree bark piece. Great part usage. 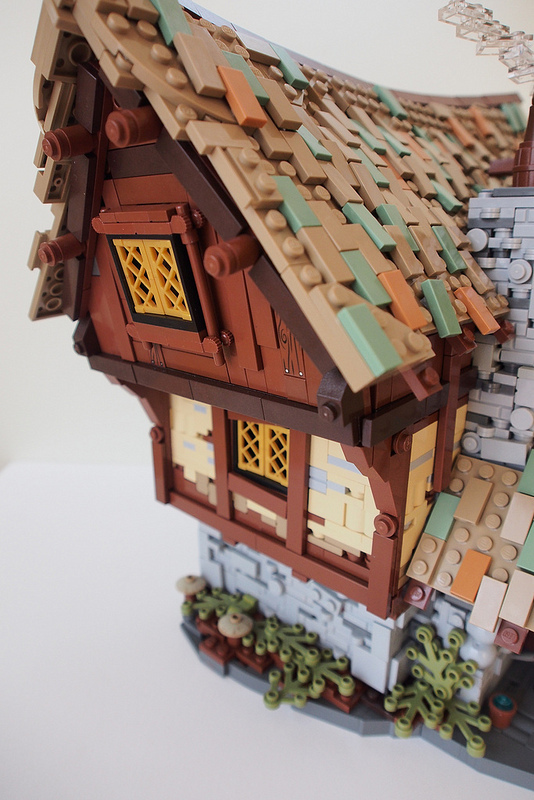 The sand green works great with the dark orange and the dark tan on the roof. I never would have considered that. Nice use of helmets on the fire place too. Congratulations on yet another brilliant MOC! I like how your roof texturing has evolved, and of course the angles and texturing of the walls. I actually almost think I like this level of leaning walls better than when everything is "off-grid"
Anyway, good luck in the CCC! Well, everyone else has already said it but I have to echo it because I like it so much: "NPU with the helmets." Those crazy angels! They should be impossible to build but you nail it everytime! The roof are my favourite part! So good looking! Sweet work LD! Love the angles and the roof! Awesome LD, I love the roof and the small snot base.